Hello, my fellow chocolate lovers out there! How many ways can you enjoy chocolate? 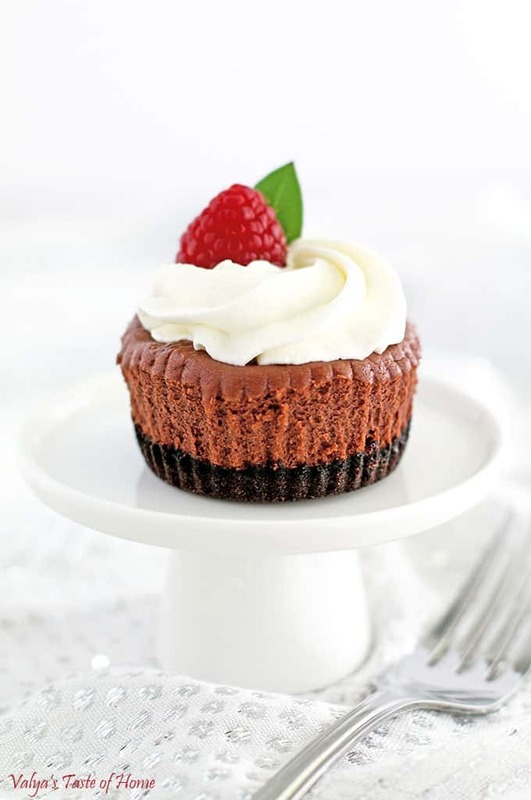 Endless, but how about in the form of these Oreo Chocolate Mini Cheesecakes? 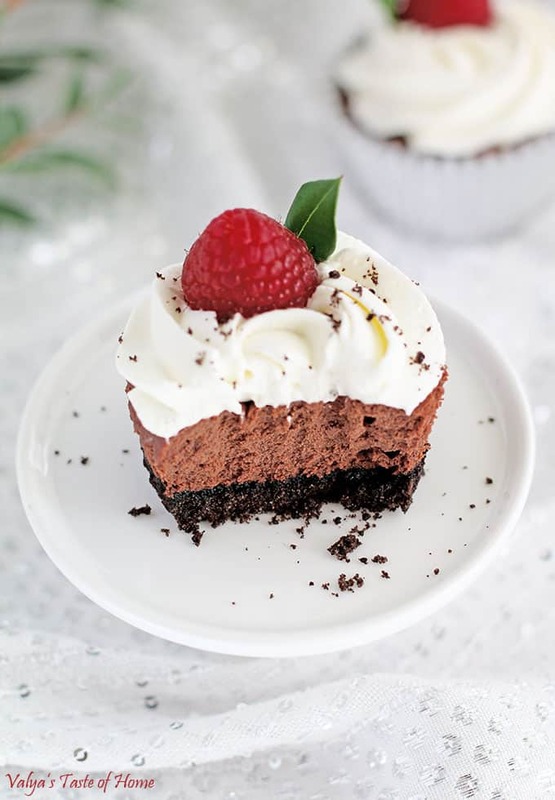 They have a scrumptious Oreo cookie crust, a creamy chocolate cheesecake filling, topped with tasty soft cream and garnished with your favorite berries (raspberries pairs best for me) that makes them a crowd favorite dessert. 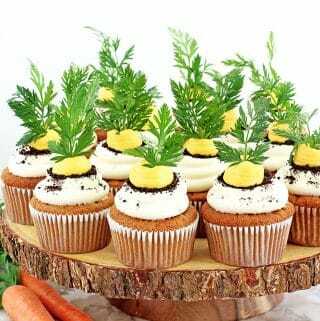 These are very well enjoyed at any gathering and serve as party table decor and are absolutely loved by chocolate lovers. I’ve mentioned it many times but it won’t get old to say it again: cheesecake of any kind is my favorite dessert! It’s an absolutely genius dessert, originated by the Greeks, and is royalty-worthy. Εξαιρετικά νόστιμο! (Absolutely delicious in Greek.) The texture, variations, and flavors is a sweets-lover’s gold mine. And impossible to resist when it comes to such a delicious treat… I mean having two at lunch and one at dinner when I meant to have strictly a healthy dinner, should tell you how irresistible they are. 🙂 And this is coming from someone with big-time self-control. Can someone take them away from me, please?? So, yeah … that’s how good these really are! Enjoy! 1. Preheat oven to 325 F (163 C). Combine sugar, cocoa powder and stir well to combine. Set aside until ready for use. 2. Crush Oreo cookies in the food processor add melted butter and process it again to combine (I always omit adding butter, the crust holds its self pretty good). 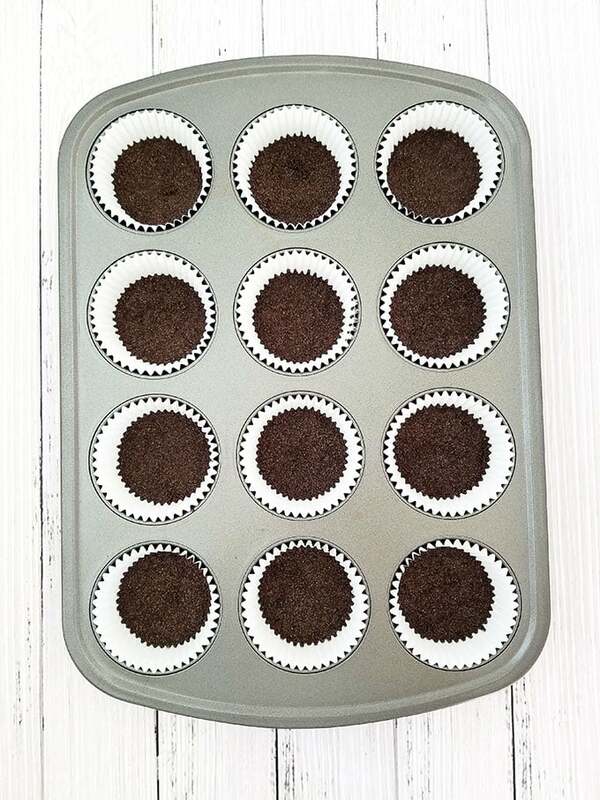 Line 2 (12 cupcake pan) or 1 (24 cupcake pan) with cupcake liners and fill each cupcake liner with 1 ½ tbsp. of Oreo crumbs. Press the crumbs down using the same measing spoon. Set aside until ready for use. 3. Using stand mixer with paddle attachment beat cream cheese well until smooth in texture. Scrape the cream cheese down the sides of the mixer bowl using a silicone spatula, add sugar and cocoa powder mixture and beat it for a couple of minutes or until combined. Scrape the sides and bottom of a mixer bowl and beat it once more for about a minute or so to ensure all the cream cheese, sugar and cocoa powder are incorporated. 4. 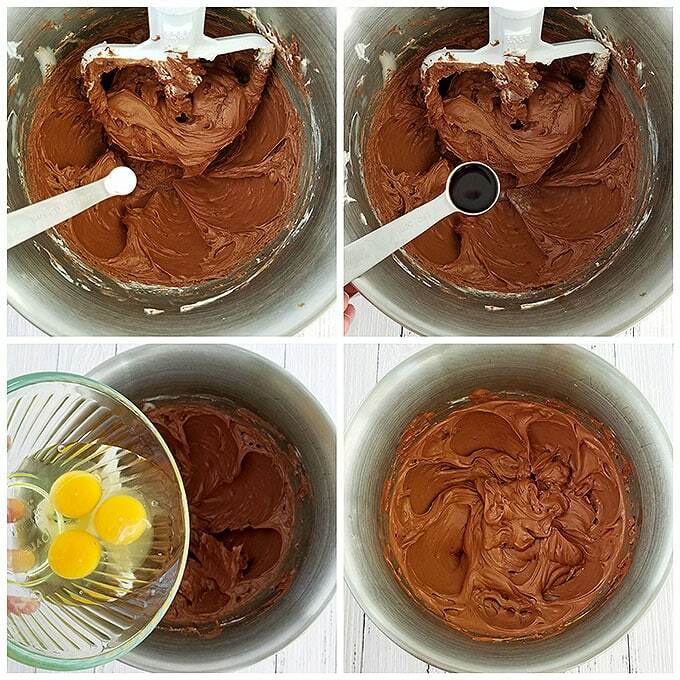 Reduce mixing speed to low and add sea salt, vanilla extract and one egg at a time. Increase the speed to med/high and beat the mixture for a couple of minutes. Scrape the sides and bottom of a mixer bowl and beat it again for about a minute. 5. 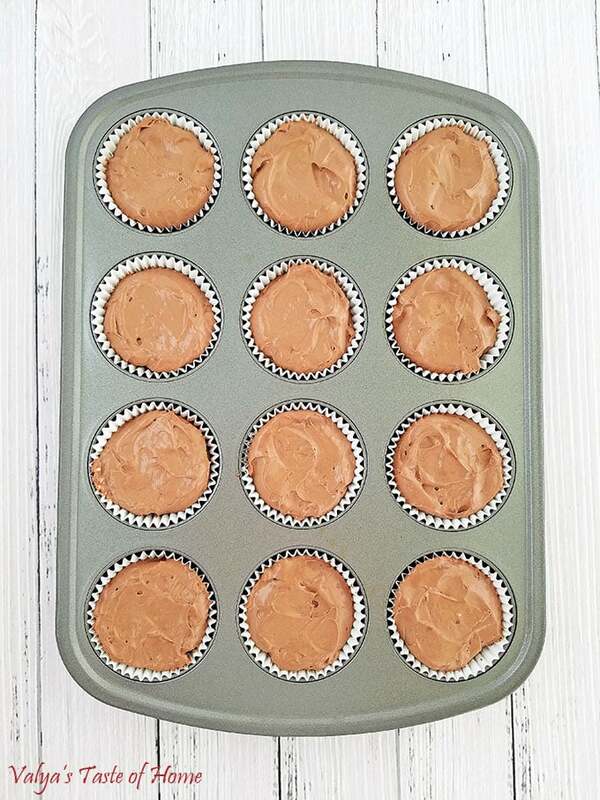 Divide cream cheese batter evenly in between 2 (12 cupcake pan) or 1 (24 cupcake pan). Bake in preheated oven for 15 – 18 minutes (I bake mine for full 18 minutes). 6. Remove from the oven very carefully preventing any pan shaking and let the cheesecakes cool in the pan. Remove from the pan, let it cool completely before topping with cream and berries. 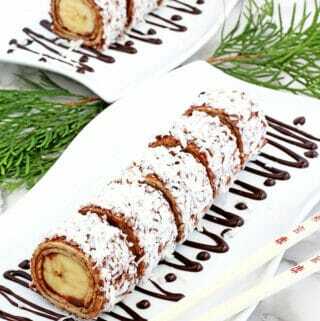 (The cheesecakes will have raised round tops and they will settle down making the cheesecakes straight and even tops; the cheesecakes shouldn’t sink in making a little nest, if that happened then the cheesecakes were overbaked, try reducing the baking time by a couple of minutes). If you make this Oreo Chocolate Mini Cheesecakes Recipe please share a picture with me on Snapchat, Facebook, Instagram or Pinterest. Tag with #valyastasteofhome. I’d love to see your creations! ? Preheat oven to 325 F (163 C). Combine sugar, cocoa powder and stir well to combine. Set aside until ready for use. Crush Oreo cookies in the food processor add melted butter and process it again to combine (I always omit adding butter, the crust holds its self pretty good). 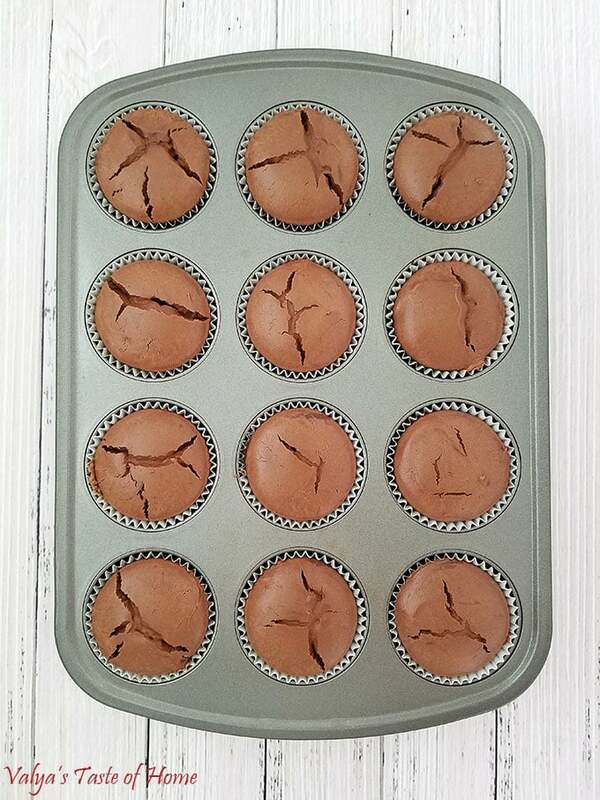 Line 2 (12 cupcake pan) or 1 (24 cupcake pan) with cupcake liners and fill each cupcake liner with 1 ½ tbsp. of Oreo crumbs. Press the crumbs down using the same measuring spoon. Set aside until ready for use. Using a stand mixer with paddle attachment beat cream cheese well until smooth in texture. Scrape the cream cheese down the sides of the mixer bowl using a silicone spatula, add sugar and cocoa powder mixture and beat it for a couple of minutes or until combined. Scrape the sides and bottom of a mixer bowl and beat it once more for about a minute or so to ensure all the cream cheese, sugar and cocoa powder are incorporated. 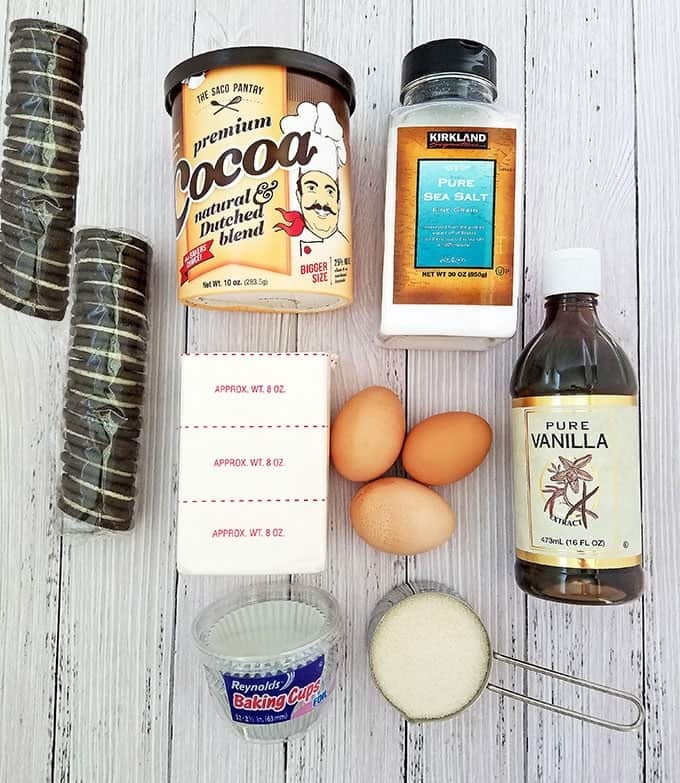 Reduce mixing speed to low and add sea salt, vanilla extract and one egg at a time. Increase the speed to med/high and beat the mixture for a couple of minutes. Scrape the sides and bottom of a mixer bowl and beat it again for about a minute. 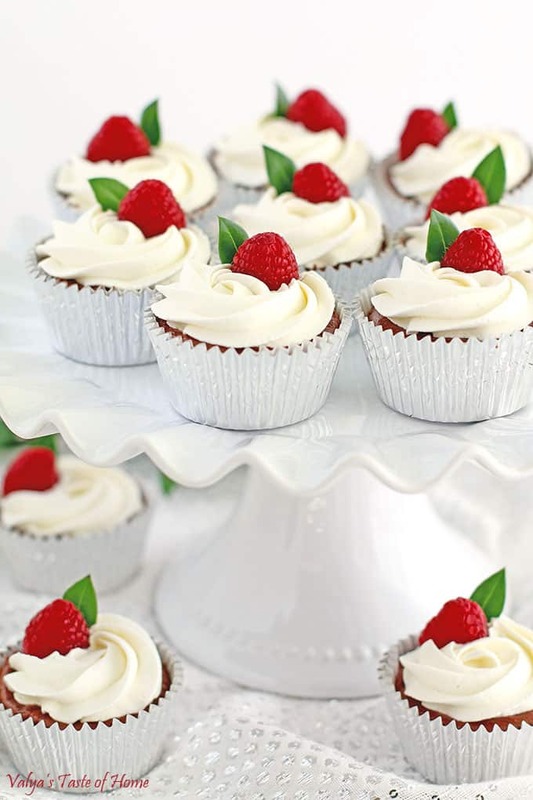 Divide cream cheese batter evenly in between 2 (12 cupcake pan) or 1 (24 cupcake pan). Bake in preheated oven for 15 – 18 minutes (I bake mine for full 18 minutes). Remove from the oven very carefully preventing any pan shaking and let the cheesecakes cool in the pan. 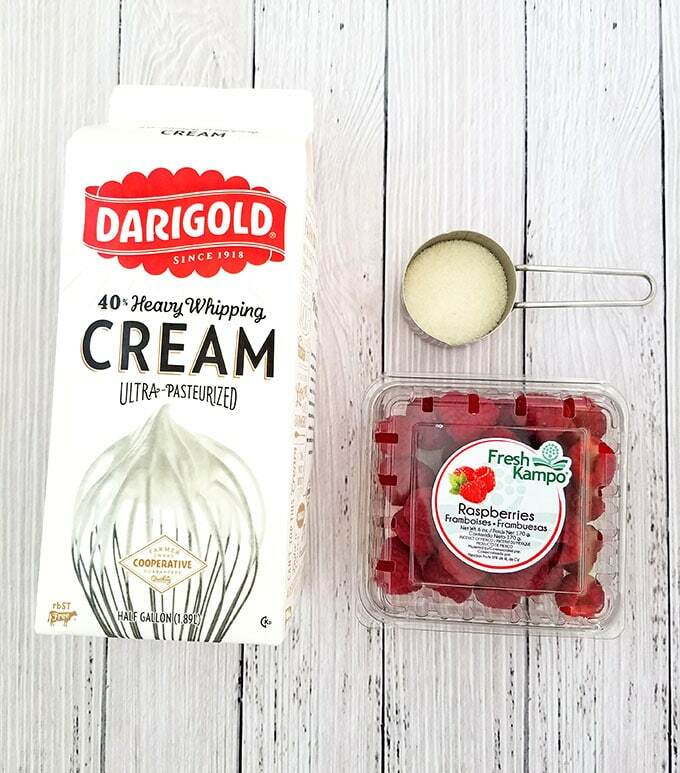 Remove from the pan, let it cool completely before topping with cream and berries. 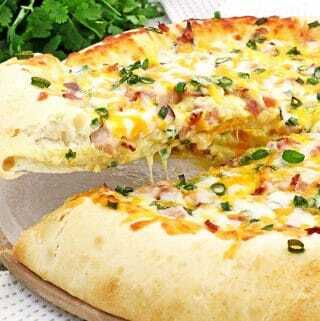 (The cheesecakes will have raised round tops and they will settle down making the cheesecakes straight and even tops; the cheesecakes shouldn’t sink in making a little nest, if that happened then the cheesecakes were overbaked, try reducing the baking time by a couple of minutes). I am a big fan of cheesecakes as well, and will these out soon. 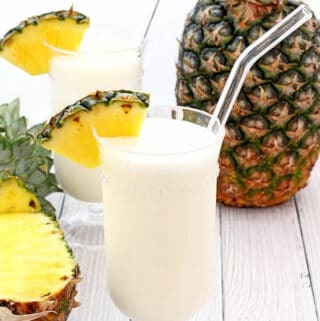 Thanks for sharing your recipes Valya! May God bless you at what you do for us! Aww… thank you for sweet word’s Nadia! 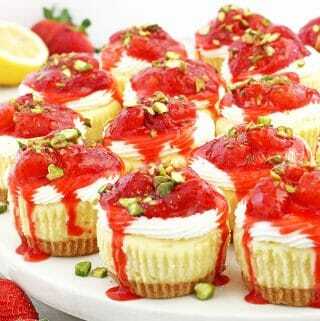 If you love cheesecakes, you will these as well! ? Yummmmmy! Looks and sounds so delicious ?! 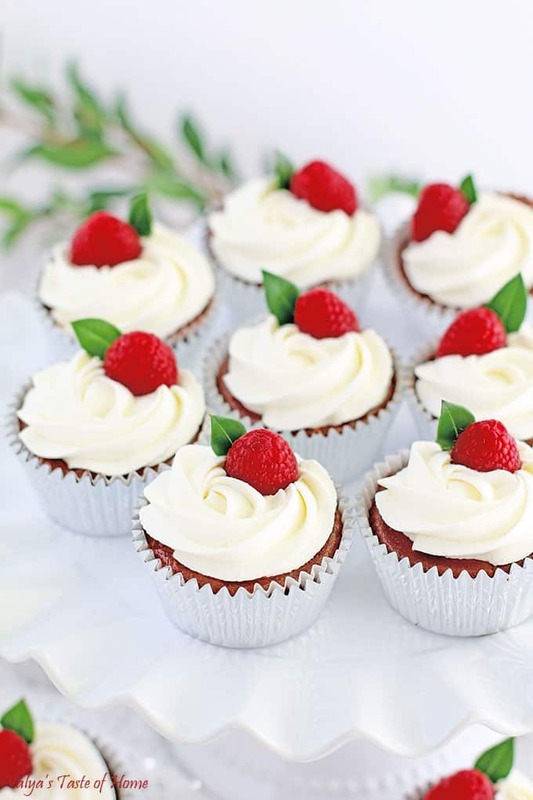 Will need to get oreos and fresh raspberries and try this recipe next time I bake. Thank you for recipe. Pictures look so appetizing. 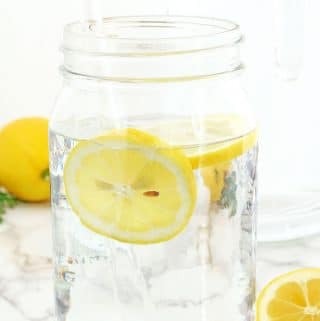 Made these and they are soooo good! This recipe is a keeper. I used strawberries for decoration. Thanks so much for another amazing recipe. I’m so happy to hear that you liked the recipe. Thank you kindly for amazing review! ? I made this recipe last week for a potluck, but into a round 9″ cake. Turned out pretty tasty. Used raspberries like you suggested. I think raspberries go very well with chocolate cheesecake. Yum yum! Thanks for your recipe. What a great idea! I will have to make it too now! I’m glad you liked it and thank you for sharing your experience with me! ? Do you leave the cream inside the Oreo? and crush it fully?